We've helped thousands of beginners for over 15 years! downloadable car design plans, along with easy build car kits to completely built cars. Use this Quick Start Chart to match your needs to our solutions. Beginner's book: Pinewood Derby in Six Easy Steps. You can instantly download this book to your PC! Step-by-step instructions - how to design and build your car. Includes 3 simple car design templates. What car design should I choose? See 30 car designs and even see your car rotating 360 degrees! I have little skills and no tools! How can I build a car? Quick build Car Kits includes weights and decals. Requires no, tools. Simple, clear instructions. Pick a pre-cut car, then select the wheels and axles you want to build your own car without tools. But I want to race!! Fully built, painted and ready to race cars! ...and they're super fast too!! Completely built and painted cars gets you in the race. How do I make my car fast? All the secrets you need to win. Yes, many beginners have won! Buckle Up! We're Building a Car. STEP 1: Dad, I've got an Idea! STEP 2: One Slice or Two? 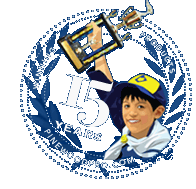 Design your pinewood derby car with our "Cool Car Designer"
Point and click to pick a car design, then see your car's speed increase when changeing axles, wheels, lubes and weights. Select from 30 car designs. See how each product affects your car's performance as it slides toward the checkered flag. Test drive Take your pinewood derby car! Pinewood Derby Car kits, like this dragster have everything you need to build a car. Speed tip: Put PRO Graphite on your axles to make your car fast. To make your car competitive, choose a set of our BSA Polished Axles or Graphite Coated Axles because the axles in this kit are not polished or deburred. Pre-weighted with perfect center of gravity for maximum speed. Pre-drilled axle holes so your car rolls straight. Proven FAST with many District winners and State winners! If this is your first race, you need to know a few basic speed tips to have a competitive car. First, the axles that come in the BSA Cub Scout kit are not axles; they are nails, and crude ones at that! Run your fingers along the shaft of the nail to feel the crimp marks and burrs. These must be removed or they will grind up the plastic in your wheels, severely slowing your car. You can modify the axles yourself with our axle file and axle polishing kit or get our polished axles, if you don't want to do it yourself. The single most important thing you can do to increase your car speed is to lubricate your axles with PRO Graphite. It comes in a tube and is simply squirted on each axle. You can never have too much graphite on your wheels and axles! Your car moves down the track from the force of gravity. Be sure your car is fully to reach maximum velocity. Pinewood derby weights come in all sizes. You can stick them on, screw them on, or embed them into the car so they are hidden.